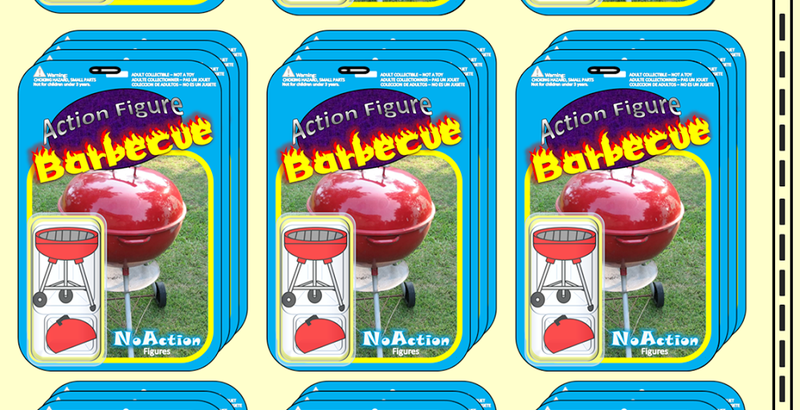 Action Figure Barbecue: Classic Hokey Halloween Horror: Boo Berry Cereal! Classic Hokey Halloween Horror: Boo Berry Cereal! 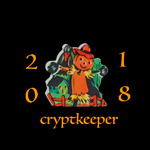 This is a classic Hokey Halloween Horror Review from 2013! Classic, of course, is in the eye of the beholder. Boo Berry cereal was definitely the monster cereal that I requested most often when I was a kid. There's just something about blue food that appeals to me. I think it's because there's nothing gross that's blue and so thus the color blue is always appealing. Green? Boogers. Red? Blood and gore. Brown? Feces. Black and white? Skunks. But blue? Nothing. It's just a pleasant and amazing color for food. The brighter the blue color, the better. In October of 1971 General Mills released the first two installments of their breakfast cereal masterpiece: Count Chocula and Franken Berry. Those guys are OK, but Boo Berry is where the real action is. Released in 1973, Boo Berry added a delightful blueberry flavor to the pantheon of breakfast foods.I just ate a full box of Boo Berry cereal last week and three bowls immediately prior to typing this review, so I'm ready to go. Let's get this review done before the sugar rushing through my veins makes me too crazy! Join me after the break, if you dare!!! Who is Boo Berry? He's a friendly ghost that wears a very dapper bow tie and a little hat and sells breakfast cereal. 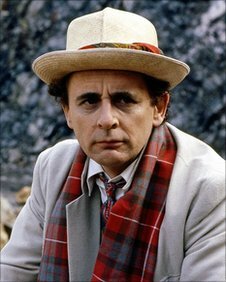 Also, doesn't he kind of look like Sylvester McCoy, the seventh Doctor from Doctor Who? Anyways, Boo Berry cereal is being re-released for a limited time this Halloween season and is available with two different types of box art. If you go to Target you can get the exclusive classic art box as seen in the picture above. If you buy three boxes of General Mills monster cereal, you also get a free cookbook. The box seen below is the newer styled box that features a more modernized Boo Berry against a spooky backdrop. Both of the boxes feature trivia on the side and a comic on the back that brings all of the five characters (Count Chocula, Boo Berry, Franken Berry, Fruity Yummy Mummy, and Fruit Brute) together for a meal. There's no prize inside, which is a little disappointing. Still, the cereal itself and the box art are a big part of the appeal. So, how about the cereal itself? It's pretty good. I think the pieces are supposed to be little ghosts, although they kind of resemble the squids from the original Super Mario Brothers. If you turn them upside down, they look like Dragonball Z characters. The cereal pieces are a pleasant dark blue (almost purple, really) and are accompanied by pink, white, purple, and blue marshmallows that look like a variety of indistinguishable shapes. The only thing I recognized was a bat. The stuff tastes great, though. It kind of reminds me of a more blueberry version of Captain Crunch Crunch berries. It's really sweet but you can definitely taste something akin to blueberries. It's a very fake blueberry taste, but a blueberry taste nonetheless. The cereal stays crunchy for as long as it took me to eat a bowl (which isn't long) and over time the milk starts to gain a bluish tint. It's not as severe as the tint that Franken Berry or Count Chocula gives milk, but it's noticeable. If you've never tried Boo Berry and you're interested, give it a go. It's pretty good. I really don't eat much cereal throughout the year, but if these guys were around all year long, I might reconsider. One thing to warn you of, though; if you use the restroom after eating this cereal and notice that anything is a bluish purple, well, that's just part of the experience. Overall, on a werewolf rating scale, I'd give Boo Berry four werewolves out of five. It's a very pleasant and novel breakfast cereal, and who doesn't like translucent blue ghosts? Nobody, that's who.